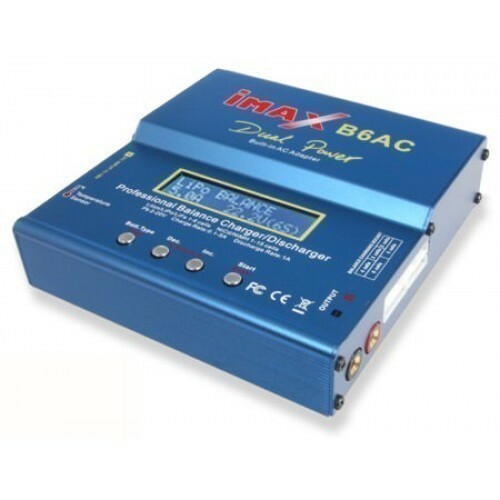 The B6AC Universal Battery Charger can charge 2 to 6 Cell Lithium Polymer battery packs, 1 to 15 NiMH / NiCd battery packs, and 2V to 12V Lead Acid Battery. The charging current is user programmable between 0.1 to 6Amps. It also features a balance charger for Lithium Polymer Battery chemistry where it balances battery with drain current of up to 300mA per cell. It has very simple interactive user interface based on 2x16 alphanumeric LCD along with 4 menu switches. It also includes charging cables for 5 different types of battery sockets. This charger works on mains supply as well as 11 to 18V DC. Supported Battery: Lithium Polymer, NiMH, NiCd, Lead Acid. Battery capacity: Refer to Features. 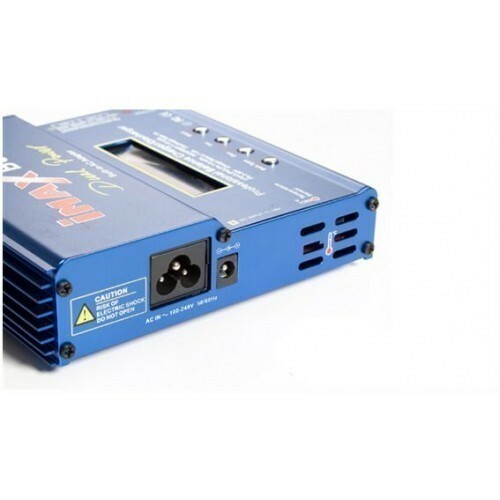 Operating voltage: 100-240V AC, 11 to 18V DC, 5Amps. Charging current: 0.1Amp to 6Amp, User programmable in steps of 0.1Amps. Discharge current: 0.1A to 1A, User programmable. Current drain for balancing Li-Po batteries: 300mA per cell. Dimensions: 13.5cm x 14.5cm x 4.5cm. Includes charging cables for 5 different types of battery sockets. It is used in charging the battery. 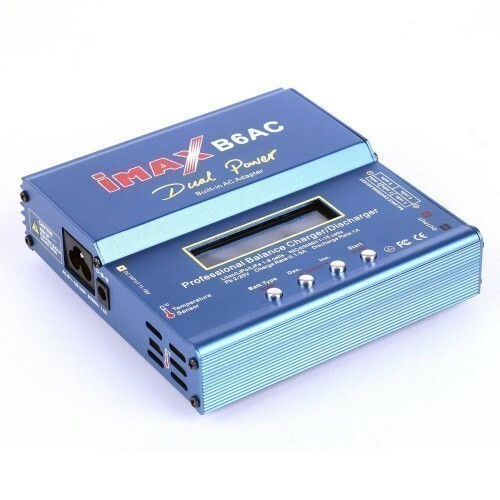 Also Searched as : Universal battery charger, B6AC charger online in india.